A great head of hair is hard to find. Everyone wants to have beautiful, long, healthy hair, but not everyone is naturally graced with the genes that supply gorgeous naturally. Even healthy people sometimes don’t have healthy hair. If you’re looking to ensure your hair is as healthy and beautiful as it can be, you need to examine the effects that stress, aging, diet, hair styling practices, hormonal imbalances, and medication can have on hair loss or growth. If you want long, healthy hair, read on to learn more about your hair and how to promote hair growth through diet, exercise, and proper hair care. The average person grows about a half an inch of hair per month, aggregating to about six inches a year. Six inches a year may seem like very slow progress when pining for long, healthy hair. However, there are shortcuts and cheats to healthy hair growth that can bring you to long, beautiful hair sooner than you think. 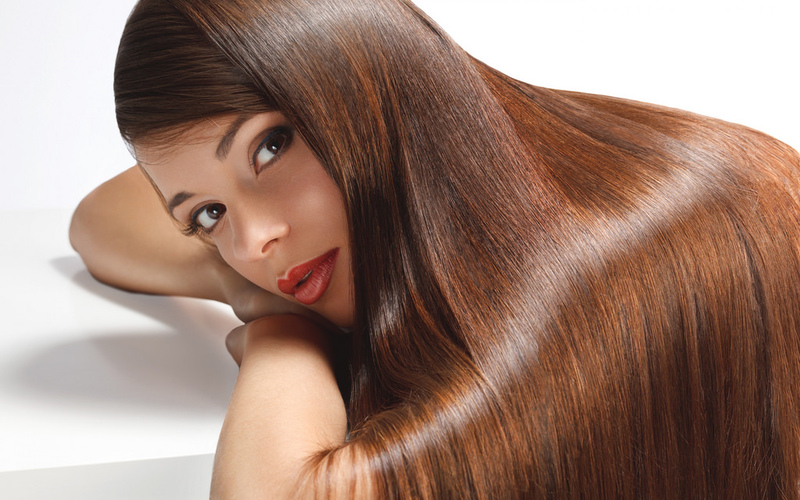 Exercise, hair growth vitamins, and nurturing hair styling practices can all speed up the hair growth process. Everyone knows the famous platitude that you are what you eat. This phenomena holds especially true when addressing hair growth. Whatever you put into your body can contribute to healthy growth, so it’s important to ensure that you’re eating foods that are nutrient rich. Look for foods with folic acid, vitamin C, niacin, and biotin, as these are all vitamins that promote hair growth. Of course, you can also take supplements that enhance the health of your hair, skin, and nails. If you choose this route, try to find organic, natural supplements without any detrimental fillers or unnecessary ingredients. You should also remember that during stringent weight loss diets many people reduce the amount of calories they eat so much that they end up harming their hair and contributing to hair loss. When on a diet make sure you’re eating enough calories and protein. Exercise, especially yoga, is great for healthy hair growth. Since exercise promotes circulation throughout the body, blood reaches the scalp much more frequently, increasing hair growth. Even better, sweating also promotes hair growth due to the sweat unclogging hair follicles and creating room for hair to grow. Yoga is particularly helpful for hair growth due to a number of poses that support circulation in the scalp. It also promotes self massage around the face and head during meditation portions of the class, encouraging even more blood to circulate through your head. All of these poses send blood to the scalp, while helping to relieve stress (a common reason for hair loss). You must nurture your hair in order for it to grow. Abusing your hair by using heat tools, hair products, and being too rough when combing and styling your hair can cause your hair growth to stagnate. In order to maintain healthy hair growth, you must have a solid hair care regimen. Conditioning is a must for any healthy hair care routine and you should deep condition at least once a week in order to maintain the health of your hair. Regular scalp massages also promote healthy hair growth by increasing blood circulation to the scalp and can be self-conducted easily. Avoid hair products that contain harmful sulfates and parabens to ensure that your hair isn’t dried and damaged by chemicals, and regularly trim your hair to remove encroaching split ends. Learn through trial and error what hair products are best for you and maintain a schedule for washing and conditioning your hair. Companies like YUNI Beauty can help by providing a variety of natural, organic hair care products that promote healthy hair growth for active women. Healthy hair growth is attainable if you make a conscious effort to contribute to the health of your body, thus improving your hair. By maintaining a nutrient-rich diet, exercising regularly, and following a healthy hair regimen, you’ll be on your way to healthy hair. Apply these tips to your life and your scalp will thank you.